The most interesting blogs covering state capitols! Lefties, righties and centrists welcome. Suggest your favorites here. A round-up of the latest news from state & local blogs. We've written lots about state legislatures wasting time by designating official dances, fish, dirt and other inane bits of culture. But I'd like to take a break from being snarky, and actually praise one statehouse for recognizing the finest, most delicious fruit in the history of the planet. 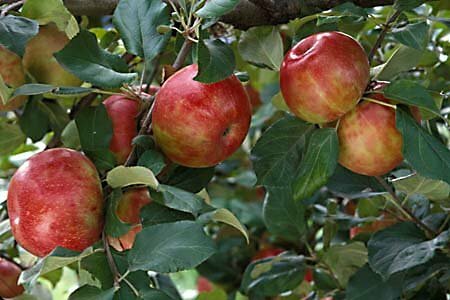 It's the Honeycrisp apple, and the Minnesota Senate has voted to make it the official state fruit. Huzzah, I say. I have been a die-hard devotee of the Honeycrisp for a few years (they've only been widely available for a decade, after being developed by University of Minnesota researchers). They are the most delicious, most succulent, most amazing apple I've ever encountered. Do yourself a favor, and open your world to these amazing, life-changing pome fruits. I'd make you a trade, a box of those for a box of pineapple, except people are too uptight about sending plant material to and from Hawaii. It's almost -- ALMOST -- worth trying to smuggle them in. I was just thinking about this the other day; state instects, state rocks, blah, blah, blah. But I realized that the time spent on such frivolities is time taken away from harming the constituents.